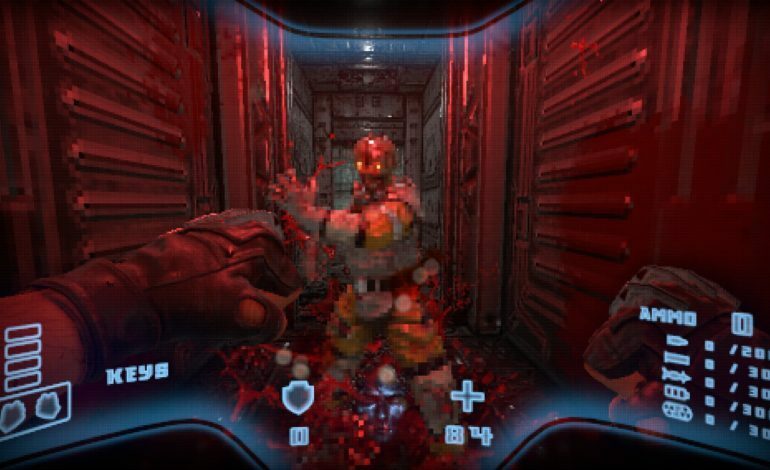 The retro shooter genre has seen a resurgence in the last couple years, with games like Bethesda’s rebooted Wolfenstein series and iD Software’s Doom remake that have both achieved critical and commercial success. The two major studios were massively successful because they applied modern tech, AAA-level polish to beloved classics while adhering to the well-respected spirit and soul of their respective franchises. The results are some of the best action FPS games in the current generation, with gorgeous visuals and immaculate control mechanics. Game developer duo Mike Voeller and Jason Mojica, however, have a different spin in mind for the rebirth of the genre. Their new retro FPS shooter, Prodeus, is anything but ordinary. Essentially, the game retains the old school aesthetics of games way back when, with the blocky textures and stuttering framerates. While this is a purely stylistic choice, the graphics of the game is anything but retro, as modern rendering techniques have also been applied to add a layer of contemporary polish and increased resolution to the visuals. Think the unorthodox blending of visuals and style in Octopath Traveler and apply it to the shooter genre. For a better look, check out the reveal trailer below. The two-man team has worked on the aforementioned games like the modern Doom and Wolfenstein in the past, and has also been part of the Bioshock Infinite team, so the experience might lend itself to a proper homage for the classic genre. From the trailer, the game looks every bit as explosive and chaotic as Doom, but with uncanny graphics that harken back to the retro days. In a way, the team might be adapting to the remake/remaster culture popular in the industry nowadays but executed in a way that encompasses the past in a more tangible manner. The title drops some time in 2019, and will be released on the Xbox One, PS4, Nintendo Switch, and Steam. Expect more details closer to the launch date next year.